‘Glitching’ explores the hidden world of the Jerwood DanceHouse, Ipswich. Only the CCTV camera can catch the secret dancers inhabiting the building. 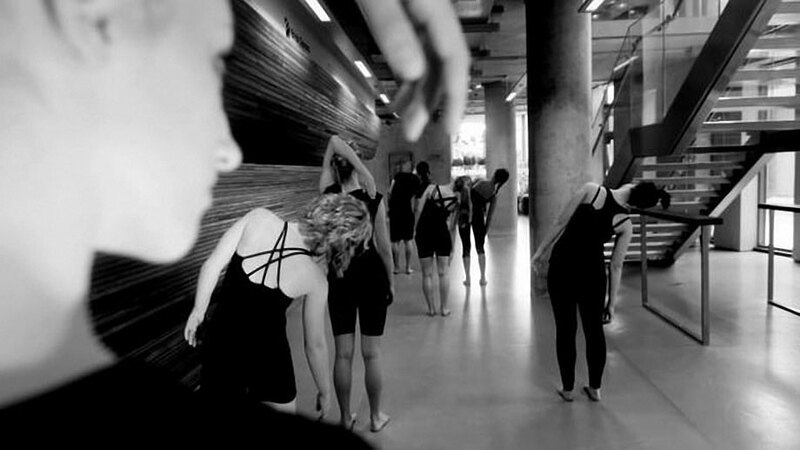 The grainy black and white images are distorted ensuring the dancers are only just visible to the viewers. ‘Glitching’ was created in a week long residency with Heather Eddington and, remarkably, the filming was shot in one day.